The Skullcandy Grind Wireless is available in 6 different patterns and colors. It looks similar to its wired counterpart, but you can easily adjust the headband to fit your head. Underneath the leather covering is soft black foam sewed into place with a mesh layer. The soft ear pads and cushiony foam work well together, forming a headset that is very comfortable to wear. 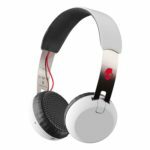 The Skullcandy Grind Wireless Headphones are equipped with 3 minimalist control buttons – the main function button that you can use to sync a new device to the headset and power it on and off, the volume up button and the volume down button. Each volume button skips to the previous or next track when held down for 3 seconds. The main function button is for answering incoming calls and controlling Bluetooth. The Skullcandy headphones also have a built-in microphone and optional 3.5mm audio jack. You will enjoy the Skullcandy Grind Wireless if you love bass. 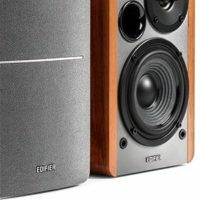 It is not overpowering unless turned up to maximum volume. The mids are also slightly warm and while background instruments are not the cleanest, vocals come through clear enough. Highs can get extremely loud. Making a small volume adjustment will definitely benefit a song. You can increase volume by pressing the plus sign. Holding down the plus sign allows the headphones to skip to the next track. The minus sign decreases volume and holding it down plays the previous track. The multifunction button ends and answers phone calls as well as plays and pauses music. The Skullcandy Bluetooth headphones are wireless. When you turn them on, the pairing mode activates and once it is paired with your device, it will automatically connect to the last device you used each time you turn it on. 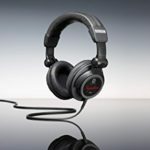 According to Skullcandy, the headphones have a range of around 30′. 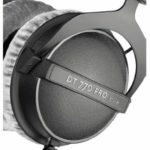 Call quality is average, so make sure that you’re within the recommended range for the headphones. The Skullcandy Grind Wireless has a battery life of around 12 hours at 75 percent volume. One of the best things about the headphones is that although it is wireless, you can still listen to your favorite songs in wired mode using an included cable. 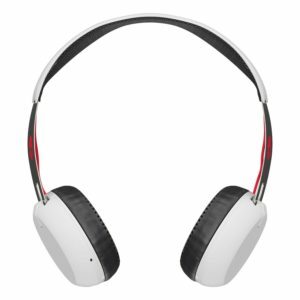 Skullcandy Grind Wireless is an on-ear headphone with 40mm drivers that come in various color options. 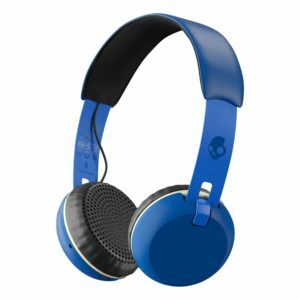 Aside from the black/tan color, the headphone is also available in blue/brown, black, white, blue and gray/plaid. The ear pads may not have enough amount of padding, the bottom of the headband is mesh covered. As such, the Skullcandy Grind Wireless fits great on your head. A micro USB port for charging and 3.5mm input can be found on the bottom of the ear cups. The minimal branding also makes the Skullcandy Grind Wireless a good choice for those who want a clean look for their headphones. 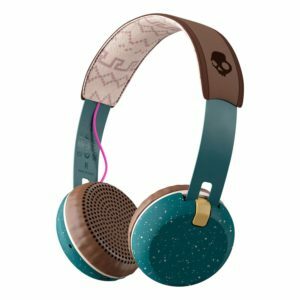 The word Skullcandy is not written on any part of the headphones. The only logo you will find is a tiny skull on the headband. The headphones are quite durable. The right ear cup contains all of the inputs and buttons that you will need, while the ear cup doesn’t have anything. The matte plastic than the ear cups are made of gets marked up with fingerprints, but you can simply wipe it clean with a piece of cloth. The headband is also made of metal. The first button has a plus sign shape. It’s followed by a multifunction button that’s circular in shape and there’s a minus sign below this button. This makes it easy to use the headphones. 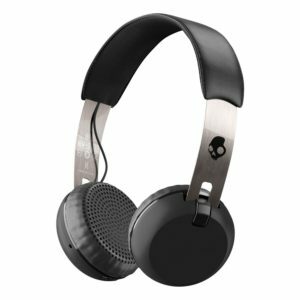 Just like other products, the Skullcandy Grind Wireless also has its own set of flaws. One of these is that although it’s quite comfortable around the head, it is not very comfortable on your ears after around an hour of listening most likely due to the lack of padding. The headband doesn’t have hinges, so it does not fold. If you love compact items that you can easily keep in your bag, the Skullcandy Grind Wireless headphones may not be for you. The buttons also work properly, but they’re made of a shiny plastic that makes feel cheap and doesn’t match the visual appeal of the headphones. Some users said that the headphones have short battery life, but I don’t think so. The Skullcandy Grind Wireless will keep you going with almost 12 long hours of battery life at 75% volume, considered long enough. 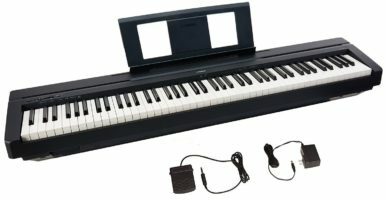 However, it also has very few accessories, only including a cable. A carrying case would have been nice, but you need to get it on your own. The headphones also don’t fold, so it is not compact. 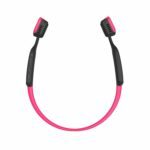 The Skullcandy Grind Wireless may not be perfect but considering its price, you are getting a good sounding, well-made pair of headphones that knows how to rock with highs and mids and rumble with lows. Consider getting your own Skullcandy Hesh 2 Wireless and experience the benefits it offers. Micro USB to USB Charging Cable.